Sambhar masala is must while we make the south Indian sambhar. This masala is very easy to make at home and all ingredients are readily available as well. 1. Dry roast all ingredients except hing. Once roasted, allow the mixture to cool down. 2. Once cooled, add hing and grind it in mixer grinder. 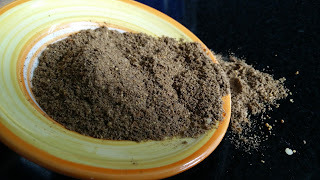 Sambhar Masala is ready.